Notice anything amiss in the photo above?? 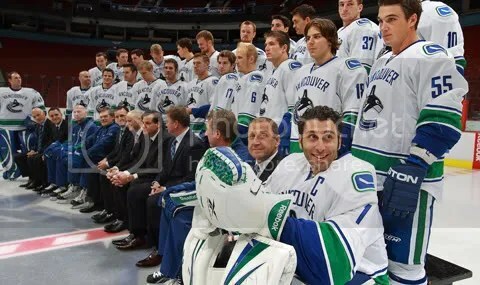 My buddy, Roberto Luongo, is wearing a ‘C’ for the team picture. What a joke. I guess I am a traditionalist when it comes to who should wear the ‘C’. 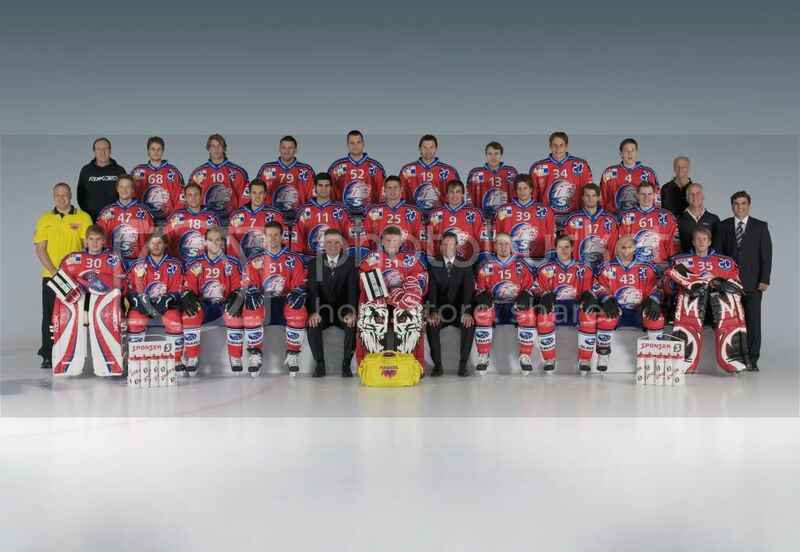 It is possible for the team to have more than one captain, but they all don’t have to be signified on the ice. Everyone on the team will know who to look up to and respect. 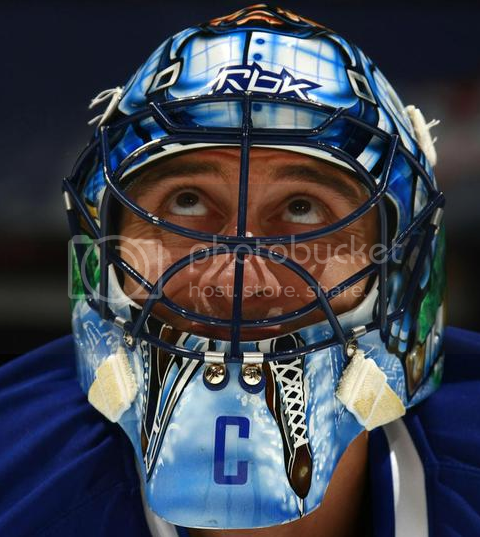 Here is a better shot of his ‘C’ on his mask. And I also heard ‘Doc’ Emerick say something about Vesa Toskala was listed as a captain on the Leafs team sheet. I am still looking for some hard evidence of that claim. Who do you think of when you see that mask? 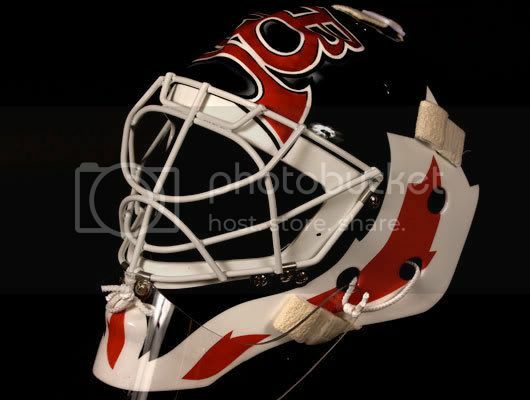 Yes, Martin Brodeur, the back stop and heart and soul of the Devils since the 1993-94 season. He has worn the same mask style ever since he was called up to the big club on a permanent basis. So imagine my surprise when I stumbled upon this bit of news on the Devils website. He donned his new mask for the first time in practice today. Here is another shot. No action shots as of yet. 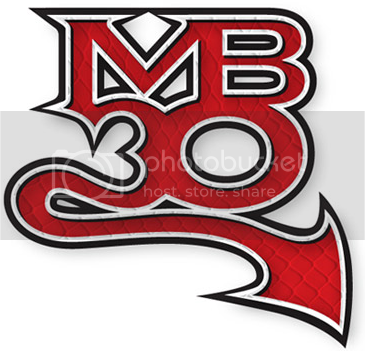 The new logo on top of the mask is set to appear in Friday’s season opener, which coincides with the launch of his new website, martinbrodeur30.com. I pray to God that this is a one off kind of deal. I love Marty, he is my childhood idol, but this enters the territory of shameless self promotion in my book. I hope we see it once and then he goes back to the normal mask. I have a feeling that if the Devils lose and Marty plays bad, we will never see it again. 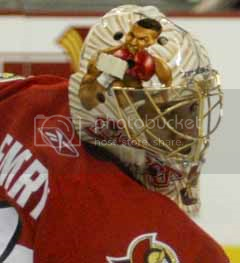 Here is a picture gallery of how they designed the new mask. While I dislike the new design, it is very interesting to see how the process of designing and painting a mask happens. Check it out. First off, I am back and with vengeance (no not really). But with the start of a new season, I thought I would get back into this blog business. 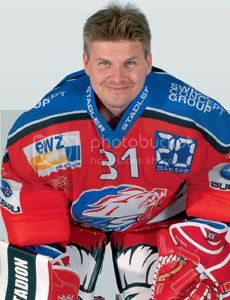 You all know about the 3rd sweater being reintroduced into the league this year and I may handle that in due time. But there are more pressing issues. 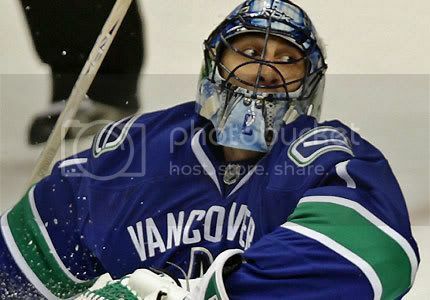 For those of you who may not know, Roberto Luongo was recently named captain by the Canucks. 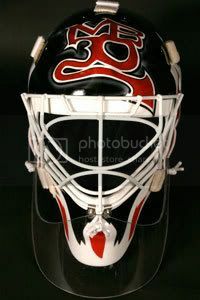 Which is all in good, because Martin Brodeur has been cited the true captain of the Devils by many, but he does not wear the ‘C’. Why may you ask? 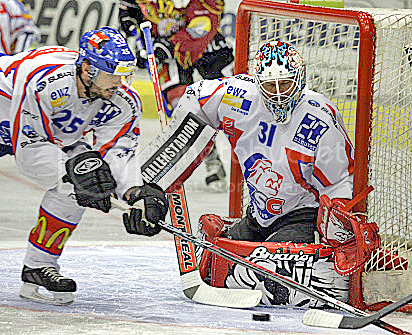 Oh, because there is this thing called a rule stating that goalies cannot wear the captain’s ‘C’. Check it out here under ‘d’. Clean and simple right? 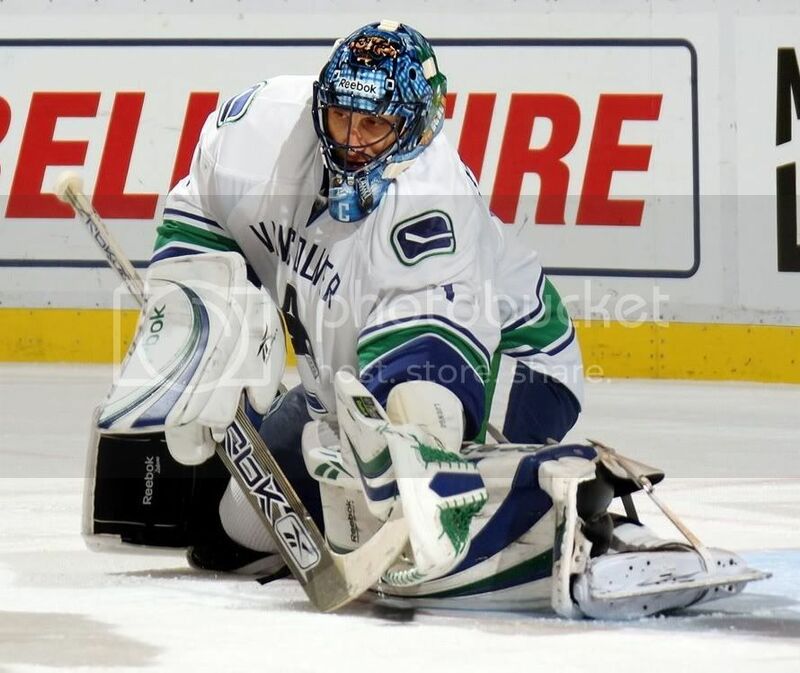 Well that trickster Luongo (who according to Hockey News is better than Marty Brodeur, despite not winning a playoff series in his career) has done this!. 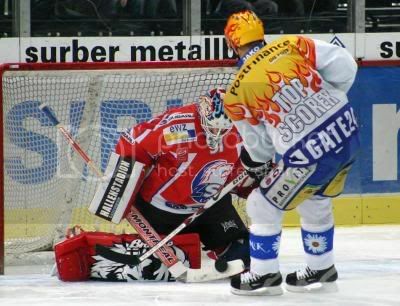 Yes, that is a C on his mask. I give him credit for finding a loophole in the rule. I would imagine this is the talk of the town out in Vancouver, because ya know, there is not much to talk about when it comes to the rest of the Canucks. I will be following any developments in this scandalous story.